2018 could be another good year for Hamburg at the SXSW Festival. Recently, the finalists for the Interactive Innovation Awards to be held on March 13th were announced. Four German projects have made it into the field of participants dominated by Americans. One from Berlin and three from Hamburg, continuing a very respectable tradition of success. Let’s take a look back. The first festival called South by Southwest (SXSW) took place in Austin, Texas in March 1987. Planned as a local music event with 150 guests, the premiere already attracted 700 spectators from all over the country. In 1994, music was joined by two further thematic priorities: film and multimedia (re-named Interactive in 1999). 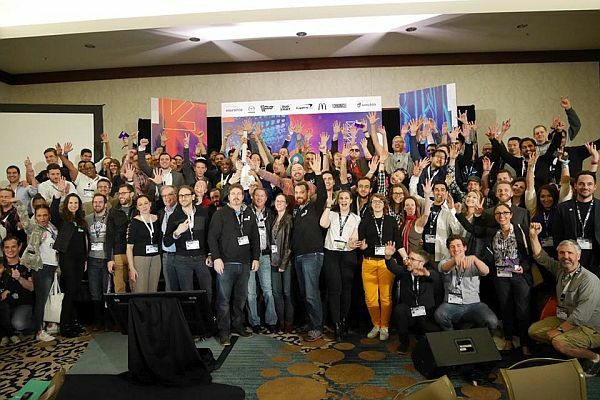 Over the years, SXSW has developed into a gigantic spectacle that attracts the brightest minds of the creative and digital szene from all over the world. Hamburg had already put out its feelers to Austin at an early stage. After all, the South by Southwest was the model for the Reeperbahn Festival. Inspired by the role model from Texas, it has also been writing a success story since 2006 and is attracting an international audience not only with music, but also with art and digital themes. In the official SXSW program it will be represented again this year with a Reeperbahn Festival Showcase on March 15th, with local music heroes like Ace Tee and MEUTE. Reeperbahn Hamburgers offers delicious burgers and great conversations. Those who associate Hamburg less with music than with a slice of minced meat between two halves of bread rolls will also get their money’s worth. 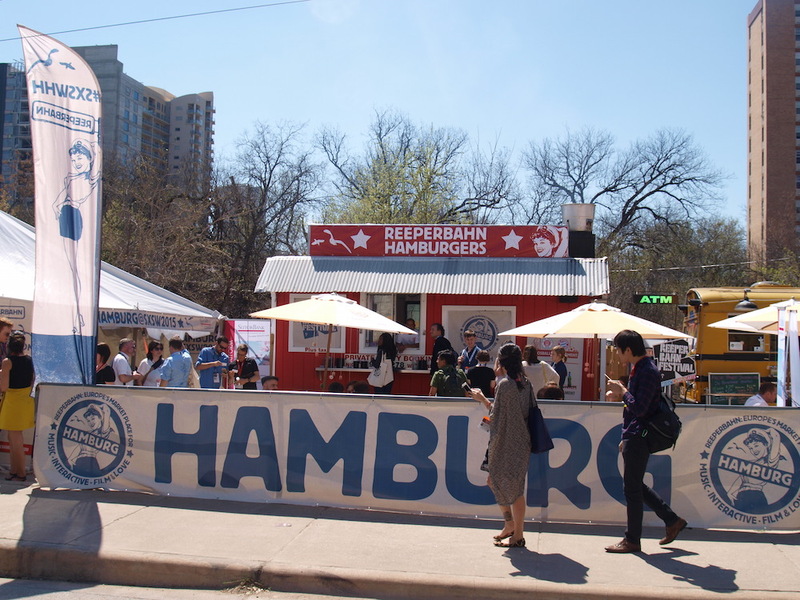 “Reeperbahn Hamburgers” is the name of a popular meeting place opposite the Convention Center, the centre of SXSW. This is where the city of Hamburg presents itself, organised by the Reeperbahn Festival and the Interessengemeinschaft Hamburger Musikwirtschaft. There will be food and drinks as well as a series of networking events. In addition to the Hamburg TEXConnect – a matchmaking of Hamburg company representatives with investors, press representatives and multipliers from the USA – the Digital Media Women’s Day will also take place again. Then there will be a German Pavilion in the large hall of the Trade Show from March 11th to 14th in the Convention Center itself. The German Haus at Barracuda, one of Austin’s many music clubs, is certainly worth a visit as well. From March 10th to 15th there will be a varied programme, which will also give many startups from Hamburg the opportunity to present themselves. Incidentally, the Hanseatic city is one of four Platinum Partners there. 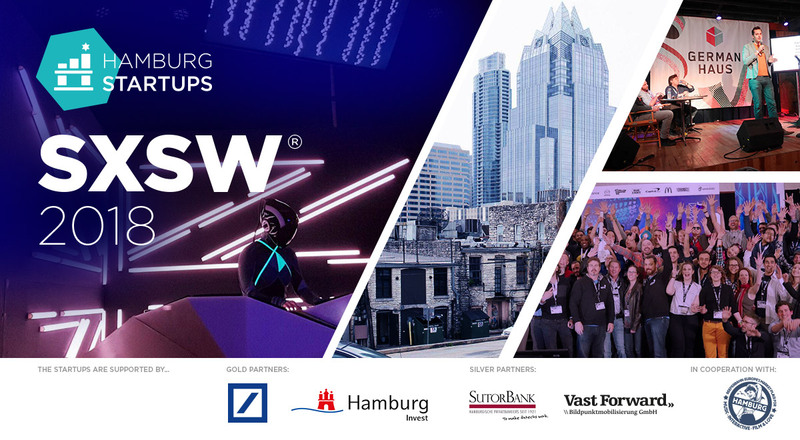 Sanja Stankovic, co-founder of Hamburg Startups, was one of the first to recognize the great opportunities offered by SXSW. She has been at the festival for eight years and has become a real expert by now. In the meantime, Hamburg Startups has even become an official partner. 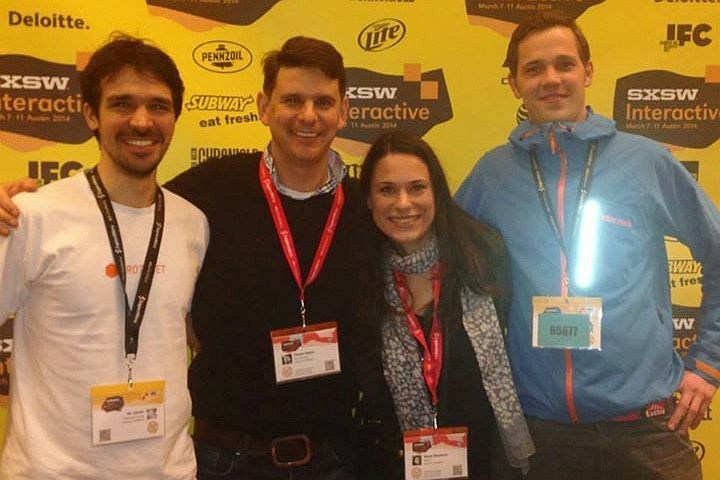 The first Startups@Reeperbahn SXSW delegation travelled to Austin in 2014. At that time Protonet, Flying and Tinnitracks represented the colours of Hamburg. 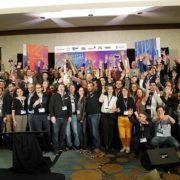 Out of competition, though, because the actual pitch contest, the SXSW Accelerator, had not yet seen any German startups. Next year, Tinnitracks went the whole nine yards. Their help for tinnitus sufferers not only made it to the final round of the competition, but also won the coveted prize in the category “Digital Health and Life Sciences Technologies”. The subsequent worldwide media response with around 700 mentions was quite unique, even for American standards. Tinnitracks was not the only startup from Hamburg that traveled to Texas in 2015. TripRebel, minubo and knowhere were also present as part of the “German Engine” programme. No other German federal state was so strongly represented. In 2016 the success story continued: SpiceVR secured a place in the Accelerator and Cybus and SpiceVR set out for Texas as Hamburg’s ambassadors. In 2017, the Hamburg delegation was larger than ever before. 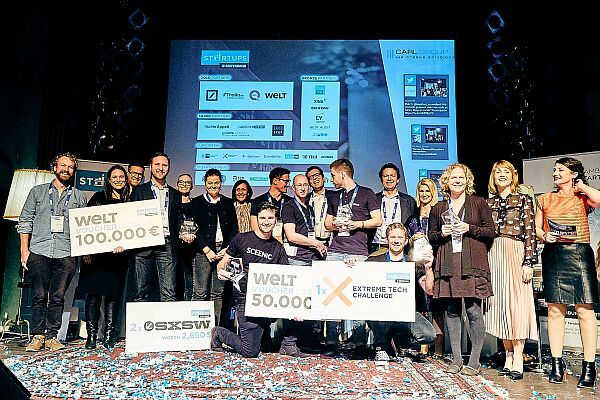 Baqend won the Austin-ticket at the Startups@Reeperbahn Pitch 2016, Nüwiel was the winner of the Hamburg Startup Mixer – SXSW Editon, and HorseAnalytics was one of the finalists in the SXSW Accelerator. In addition, appinio, connected health, picalike and PuttView were also present thanks to the city’s support. You can read what the Hamburg startups experienced at the festival here. Which brings us to the present. 2018 will be a anniversary year for the Hamburg delegation. For the fifth time, Hamburg Startups accompanies promising startup companies on their trip to the USA, this time with the support of Deutsche Bank, Hamburg Invest, Sutor Bank and Vast Forward. First there is inspient from Berlin, who convinced the jury at the Startups@Reeperbahn Pitch 2017. From Hamburg there are Qualitize and Nordantech, who have come through the “Austin-Stress-Text” most confidently at the SXSW mixer and pulled the audience to their side – see also the video below! And then with Sceenic a Startups@Reeperbahn finalist made it into the Accelerator. Sceenic comes from London but has a close connection to Hamburg. So it’s going to be exciting again in Austin, and we will report from 9th to 14th March in detail from Texas!